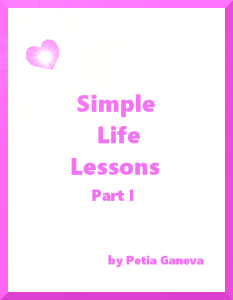 “Simple Life Lessons” part I is the fourth poetry book, written by Petia Ganeva in January2015. to find out at the end our true essence. even if You are the capitain of a crew. to spot the blissful, eternal divine truth.